Surf traveler Monica Prelle avoids the sharks but not the reef rash. I WASN’T SURE what to expect on this trip. Lefts, rights, and barrels — almost every wave in Fiji is heavy, hollow, and shallow. Being an intermediate surfer, it was a bit intimidating. Until recently, access to Fiji’s most famous surf breaks was restricted — owned by local villages, with limited permission to use. 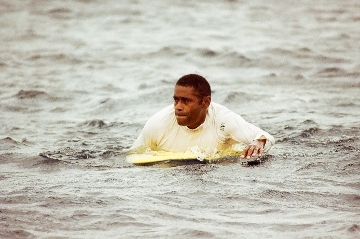 But Fijian Tourism Minister Aiyaz Sayed-Khaiyum announced July 1st that all restrictions to Fiji’s surf spots will be lifted. The new regulation supersedes privatization of reefs, including premier surf breaks at Tavarua and Namoto Islands. The first thing we did on our surf trip was snorkel. From Nadi International Airport, we’d stopped off for a quick “vacation” at the Westin Denaru Island Resort before being driven to the Coral Coast on the southern side of Viti Levu, Fiji’s main island. By the time we got to Matanivusi Surf Camp, we were ready to get in the water. On the surf camp boat, we sat in the channel and watched the waves break. The reef was almost dry and the waves were spitting tubes. A couple of Australians pointed past the break. That’s where we saw the fin, they explained. The surf camp was full of Aussies, and each one of them told the story of the shark fin with more fervor. It was a tiger for sure, one said. No, it was probably a bull, said another. Either way, earlier that morning there was a massive shark swimming near the break where we were about to paddle out. The Aussies were reluctant to get back in the water. Should I be reluctant too? I wondered. Snorkeling eased my nerves. On the boat I could feel the ocean’s energy pulsing in my veins, but in the water I felt calm. It was remarkably clear, sea life fluorescent and plentiful. Why would a shark want to snack on me — I tried to push the idea out of my head — when the sea life is so abundant? It was then I realized, this surf trip really wasn’t about the surfing — it was about the water. I spent more time in the water than actually riding waves, because it quickly became apparent that wave choice was crucial. And when you’re scanning for the right one rolling in, there’s no time to worry about the fin. Fiji is made up of over 300 islands. English is official, but most Fijians still speak their native language. The most important words to know are bula (hello) and vinaka (thank you), which should always be accompanied by a wide, toothy smile. Being an island nation, fish is abundant and served many ways. The traditional kokoda quickly became a favorite: raw fish, served with lime, onion, and coconut milk. Meal plans or all-inclusive dining options are offered at most resorts, as the local villages don’t have restaurants or shops. Many meals are served with vegetables from the garden and the catch of the day. Although alcohol is readily available to tourists, drinking isn’t custom. Instead, Fijians lounge around the kava bowl after dinner and socialize, playing guitars, ukuleles, and singing traditional songs. Kava root is dried, pounded, and soaked in cold water to make an extract for drinking. Bowls are served as an offering (not sold). The drink has a numbing sensation on the lips and tongue and relaxes the body, but does not affect the mind. Traveling in Fiji is an adventure in itself. Boats and planes are small and smaller. The rides are remarkably scenic and sometimes a little bumpy. Air Pacific offers inexpensive flights to eleven locations and charters flights to smaller destinations. Multiple ferry operators depart daily from Port Denaru near Nadi International Airport. 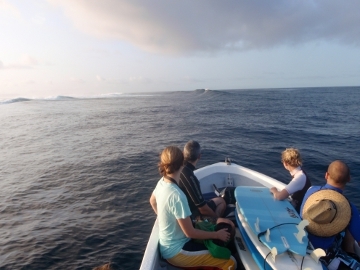 Most surf destinations are located on outer reefs, so you’ll need boat transport to reach the waves. Surf resorts accommodate travelers with their own guides and boats. Mamanuca Islands – This chain is home to the most famous of Fiji’s surf breaks: Restaurants, Cloud Break, Namotu Lefts, and Wilkes Passage. 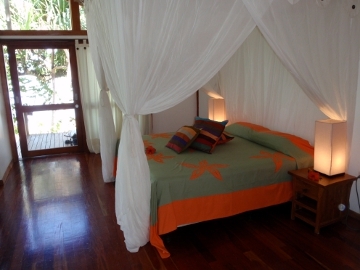 The Mamanucas are the most popular destination for surf travelers in Fiji and offer budget lodging as well as luxury resorts. 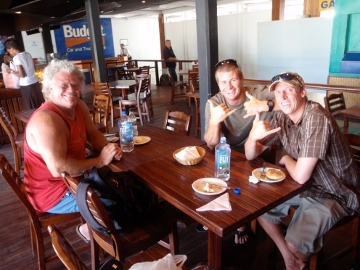 The Funky Fish is a popular choice among backpackers and caters to surfers, offering boat transfers to the local breaks. Coral Coast – Fewer people choose to visit the scenic coastline on the southern side of Viti Levu, although the wave quality rivals that of any other area in Fiji. The region’s 60-mile coast is lined with jungle-isolated beaches and protected by barrier reef. Matanivusi Surf Resort is top notch for surfers who want eco-accommodations, epic food, friendly service, and a choice selection of waves. Cloudbreak – Fiji’s most famous wave, this world-class left break is known for its perfect heaving barrels. The trade wind blows offshore most of April to October, making for epic conditions. Namoto Lefts – If it’s small, this wave is fun for everyone on long boards or short boards. Once it gets to six foot, the left can be a perfect tube and a fast, down the line wave. Wilkes Passage – This right-hander breaks fast over a shallow reef. The wave is mostly down the line surfing but can be barreling on its day, depending on wind direction. Frigates Pass – Another hollow left-hander, Frigates breaks over a deep-water reef passage. Named for the Frigate bird, this wave is a 45-minute boat ride from Coral Coast, located in the Beqa Lagoon — famous for its shark dives. The wave rivals Cloudbreak given the right swell and wind direction. Find out why Fiji is also one of The Best Volunteer Opportunities for Divers Worldwide. World’s Best Beaches: Which Ones Make Your List? Fiji is the tropical paradise you’ve been searching for.